^ Obituary Variety Obituaries, 28 December 1977. 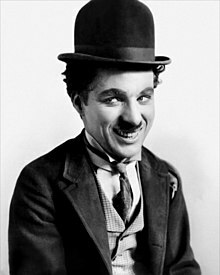 ^ MI5 files: Was Chaplin really a Frenchman and called Thornstein?. The Telegraph. 17 February 2012 [11 April 2012]. ^ Norton-Taylor, Richard (17 February 2012). "MI5 spied on Charlie Chaplin after FBI asked for help to banish him from US". The Guardian (London). Archived from the original on 17 February 2012. http://www.guardian.co.uk/uk/2012/feb/17/mi5-spied-on-charlie-chaplin. Retrieved 17 February 2012. ^ Chaplin - an essay by Aaron Hale 互联网档案馆的存檔，存档日期2006-05-16.